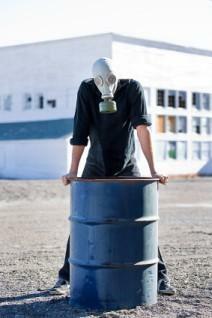 This job requires HAZWOPER certification. The Occupational Safety and Health Administration (OSHA) is charged with the significant responsibility of making certain that companies operating in the United States are in compliance with the Occupational Safety and Health (OSH) Act. The focus of the OSH law is to ensure that members of America's workforce are guaranteed a safe environment in which to work. One of the ways that OSHA accomplishes its mission is to identify the skills and knowledge that workers need to have in order to perform their jobs safely, minimizing risk to themselves and others. 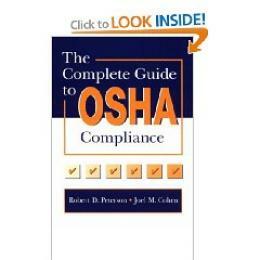 As a result, for some occupations, OSHA defines mandatory training and certification requirements. Many individuals who work in industrial settings or in the construction trades are required to carry a valid OSHA card. Depending on position, some people must complete a 10-hour training program and others must participate in 30 hours of instruction. After completing the required construction or general training, individuals will receive either a 10-hour a 30-hour OSHA card. Annual blood borne pathogen certification training is required for individuals who work in environments where they may be exposed to blood. This requirement applies to clinical medical professionals and individuals who work in housekeeping in healthcare environments. It also applies to emergency response personnel, including emergency medical technicians, firefighters, paramedics, and police officers. OSHA requires forklift safety certification for individuals who operate forklifts in the workplace. In order to earn this type of certification, individuals must complete formal classroom and hands-on training as well as demonstrate proficiency operating an industrial truck in a realistic setting. Individuals who wish to become instructors for OSHA 10-hour and 30-hour courses can become authorized trainers by completing a week-long train the trainer course for the particular type of program they wish to teach (construction or general industry). Only individuals who are authorized trainers have the ability to grant the OSHA course completion cards that workers must have to demonstrate completion of the necessary training. Details regarding trainer requirements can be found on the How to Become an Authorized Trainer page on OSHA.gov. Employers are responsible for making themselves aware of the compliance requirements for their particular workplaces and ensuring that workers have completed all necessary training and maintain current certification credentials as required by OSHA. If you need help identifying what OSHA requirements apply to your workplace or if you need additional information regarding safety regulations, contact a compliance officer at the appropriate regional agency office for your area.